The International Colored Gemstone Association celebrated its 30th anniversary at the 2015 Congress, May 16 to 19, in Colombo, Sri Lanka. With this year’s theme, “Sapphire & More,” the Congress welcomed more than 257 overseas delegates from 27 countries, as well as 53 from Sri Lanka. They enjoyed four days of informative talks, networking opportunities, sports events, cultural activities, and just plain camaraderie. 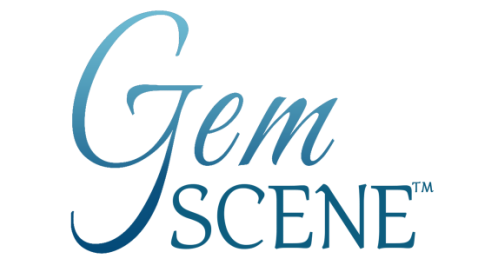 A special Facets Gem Show afforded delegates the opportunity to purchase local gemstones. Group photo of the ICA delegates at a cocktail reception at the famed Mount Lavinia Hotel in Colombo during the ICA Congress in Sri Lanka. 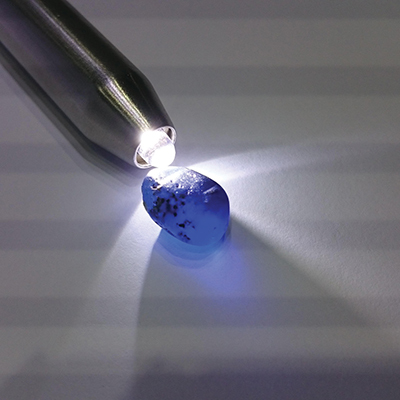 An example of a rough sapphire for sale at the special Facets Gem Show during the ICA Congress. Photo courtsey of Shehan Osman, of Osman’s Fine Gems & Jewels, Colombo. Letitia Mei Lai Chow, Director of Business Development at UBM, presents "The Marketing of Coloured Gemstones." 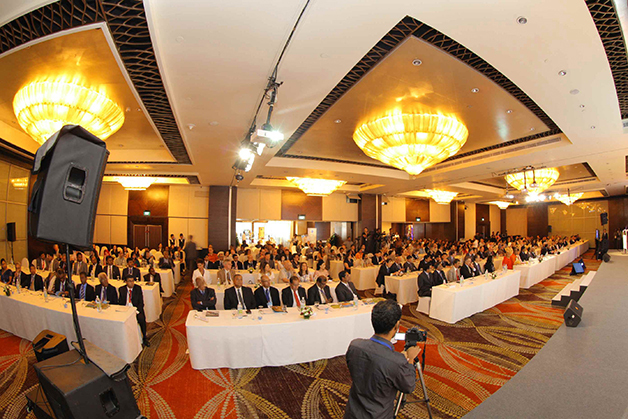 The ICA Congress welcomed more than 257 overseas delegates from 27 countries, as well as 53 from Sri Lanka. 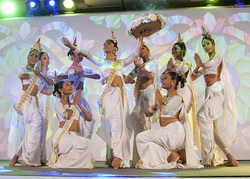 Among the cultural activities at the ICA Congress was this spectacular Perahera with dancers, acrobats and elephants. A 21-ct yellow sapphire from Lakhi Gems. Richard Hughes presents a talk on Padparadscha sapphires. Jean-Claude Michelou discusses issues of transparency and sustainablity. Earrings in white sapphire, peridot, and aquamarine by Sri Lankan jewelry designer Cantaloupe Jewels. Sri Lanka's jewelry designers show creativity and originality as in this silver and green agate ring by Cher. by Chevonne. The excellent organization by the Sri Lankan ICA Organizing Committee, headed by A.H.M. Imtizam, the hospitality of the other Sri Lankan hosts, and the choice of speakers made this Congress truly an event to remember. And, it was not all about work. The cultural activities specially planned for the delegates added to the overall experience. It must be said, also, that the level of fellowship and friendship gave the initials ICA a new meaning. They could easily stand for International Camaraderie Association. Due to space limitations, a brief summary of only a few of the Congress speakers is below. 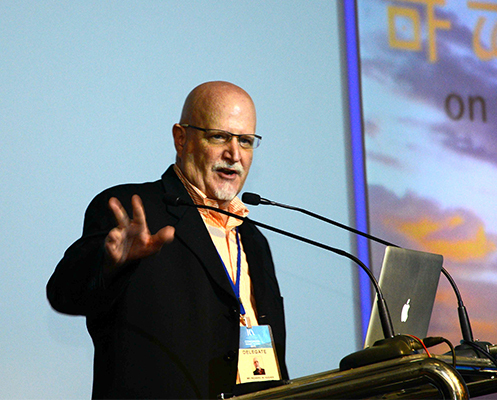 For videos of all the 33 presenters, visit ICACongress.com. After registering for the Congress on May 16, many of the more athletic delegates displayed their skills in tennis, golf, or cricket. The evening Ice Breaker, poolside at the luxurious Grand Cinnamon Hotel, provided the opportunity to meet old friends and make new ones. It was also the start of a special exhibition of local artisanal jewelry and gems sponsored by Sri Lanka’s National Gem and Jewellery Authority. May 17 saw the formal start of the Congress with introductory remarks by ICA President Benjamin Hackman and Sri Lankan ministers, as well as the nation’s leading gemstone and jewelry industry officials. Hackman also presented 30th anniversary medallions to visiting Sri Lankan government dignataries, then Imtizam welcomed the hundreds of participants to what he said was the oldest gemstone producing country in the world. He also stated that the ICA had helped in the development of Sri Lanka’s gemstone industry, which is presently valued at US$500 million. Minister Karunnuyadka said the Sri Lankan government supports efforts to expand the country’s gem and jewelry industry, with the goal of making Sri Lanka a global gemstone and jewelry center. 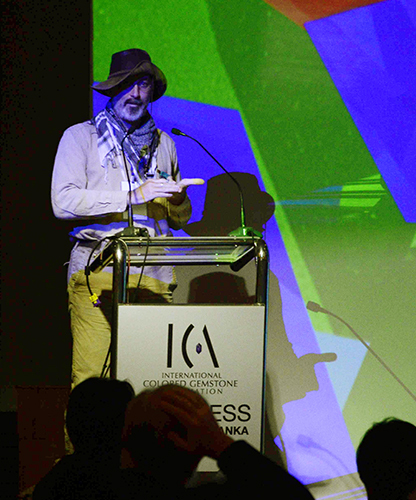 To celebrate ICA’s 30th anniversary, Past President Paolo Valentini offered a brief History of the ICA, before the technical talks began with author and historian Jack Ogden, whose topic addressed The Sri Lanka Legacy: History of Sapphires. GIA’s Ken Scarratt then presented The Global Distribution of Sapphire Deposits. Bringing the topic back to Sri Lanka, ICA Director Dr. Gamini Zoysa spoke on Sri Lanka Gemstones, Geology, Occurrence and Distribution of Gem Deposits. The afternoon session featured talks on Padparadscha sapphires (Richard Hughes, Lotus Gemology), alexandrite (Dr. Pornsawat Wathanakul, Director, GIT, Gem and Jewelry Institute of Thailand), and spinel (Edward Boehm, Vice-Chair of GILC). 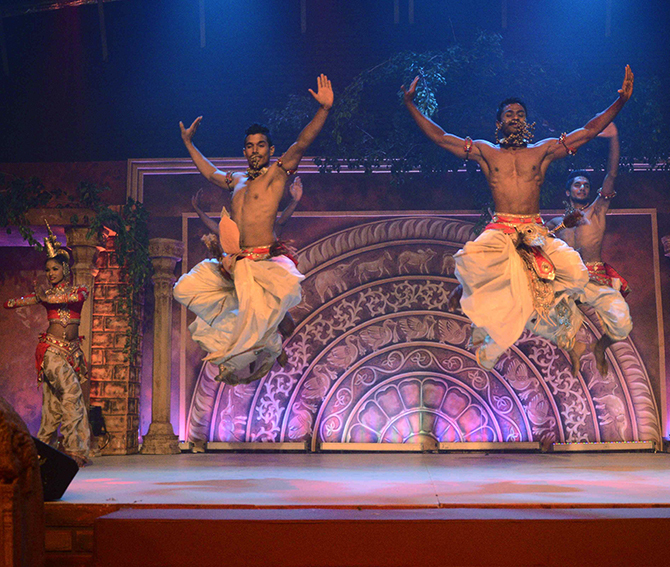 The evening activities included a cocktail reception on the beach of the famed Mount Lavinia Hotel, followed by dinner and a spectacular presentation of traditional Sri Lankan dancing. CIBJO President, Gaetano Cavalieri, kicked off the second day of the Congress with the topic of Corporate Social Responsibility and Transparency in Business Practices. Harvard Professor, Dr. Dennis Campbell, then spoke on Leadership, Management, and Strategy Directions for Independent Colored Gemstone Business Owners. Nilam Alawdeen, CEO of N. Alawdeen, evoked the controversial issue of nomenclature and difficulties in harmonizing color terms such as Pigeon’s Blood Red, Cornflower Blue, and Royal Blue. Among the 33 speakers was Saman Amarasena, of Swisscut Lapidaries, explaining Precision Cutting in Sri Lanka for the Watch Industry. GIA’s Vincent Pardieu addressed the questions on many minds about reportedly undetectable heat treatment of Mozambique rubies carried out by Sri Lankan “burners.” On the sales and marketing side of the gem business, UBM’s Letitia Mei Lai Chow spoke on The Marketing of Colored Gemstones. The evening’s activities included a delightful outing to see a traditional Sri Lankan “Perahera,” a procession consisting of decorated elephants, acrobats, drummers, and dancers in traditional attire. 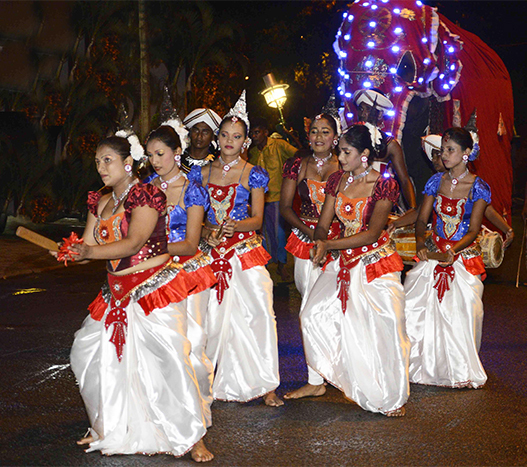 The parade culminated at Park Street Mews in a lively street party, including dinner and more entertainment by noted Sri Lankan singers and dancers. The last day again offered a wide range of presentations and discussions. The session began with a talk by AGTA President Ruben Bindra on transparency in the supply chain and ethical practices. Second up was myself, delivering a presentation on Gems & Trends, featuring what’s hot for 2015 in designer jewelry, gems, and fashion. 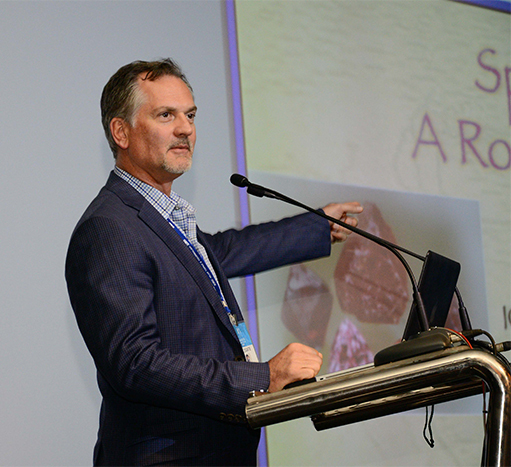 Among other presenters, former ICA President Andrew Cody provided an entertaining review of the opal industry in Australia and his career in buying, manufacturing, and selling the gems. The Congress concluded with a lively panel discussion on some of the topics raised during the sessions. The most heated discussion centered on harmonizing color nomenclature in lab grading reports. Richard Hughes, when referring to Padparadscha, stated that there is no clear universal agreement. “Who owns the word?” he asked. “It presents a problem for dealers and consumers.” There was also lively discussions regarding color descriptions such as Royal Blue, Cornflower Blue, and Pigeon Blood Red. On this topic, GIT Director, Dr. Pornsawat Wathanakul explained that the GIT has established a master set of colors as a standard for these three colors, and would make them available to other labs. The overall consensus among the speakers, however, was that, for many reasons, harmonization among labs was unlikely to happen in the near future. Another major issue was disclosure, deemed to be vital in order to ensure consumer confidence. The retail sector needs to be proactive in providing more transparency and details about the gemstone jewelry it offers for sale, since that would put consumers at ease and enable them to make informed purchasing decisions. The rich tradition of jewelry making in Sri Lanka dates back centuries. Because of the famous sapphires, many of the nation’s designers use these and other precious stones in creative 18K or 22K pieces, which sell not only locally, but have also acquired an international following. At the same time, however, a growing number of designers are producing stylish and creative contemporary jewelry, using locally sourced materials, in gold, gems, and silver, such as the pieces shown here. 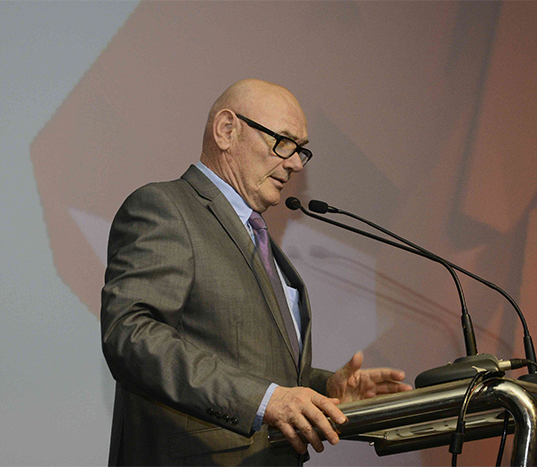 The final evening ended in a gala dinner where Hackman praised the organizers for creating such an exceptional event. As everyone bid goodbye to old and new friends, fifty of us looked forward to the mine tour, scheduled to depart early the next morning. Click here for a report on this amazing tour. During the opening ceremonies, ICA President Benjamin Hackman, left, presented the ICA 30th anniversary medallion to Sri Lankan officials Ravi Karunnuyadka, Minister of Finance, Kabil Hashim, Minister of Enterprises and Investment, A.H.M. Fowzie, Minister of Disaster Management, and Mohamed Imtizam, Chairman of the ICA Organizing Committee Sri Lanka (far right). 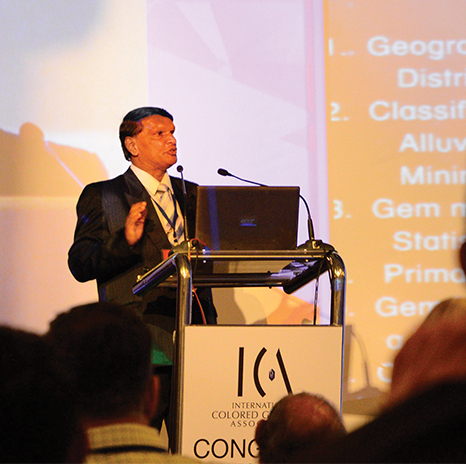 Dr. Gamini Zoysa, ICA Director, addresses the Congress with his presentation of Sri Lanka’s gemstones and geology. 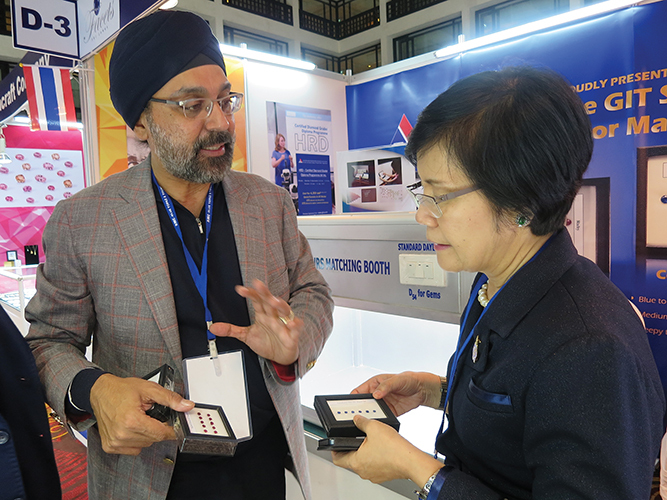 Santpal Sinchawla, of Sant Enterprises (left), and Dr. Pornsawat Wathanakul and discuss the Master Sets created by GIT to standardize the terms Cornflower Blue, Pigeon’s Blood Red, and Royal Blue. Vincent Pardieu addresses the reportedly undetectable heat treatment of Mozambique rubies. A traditional dance during one of the festive dinners at the ICA Congress. Another traditional dance during one of the festive dinners at the ICA Congress. Edward Boehm speaks on spinel. 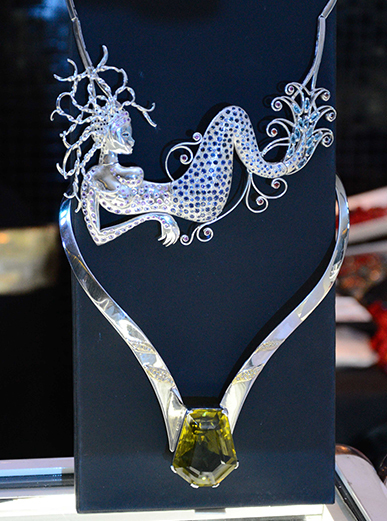 A silver necklace featured at a exhibition by the National Gem and Jewellery Authority. 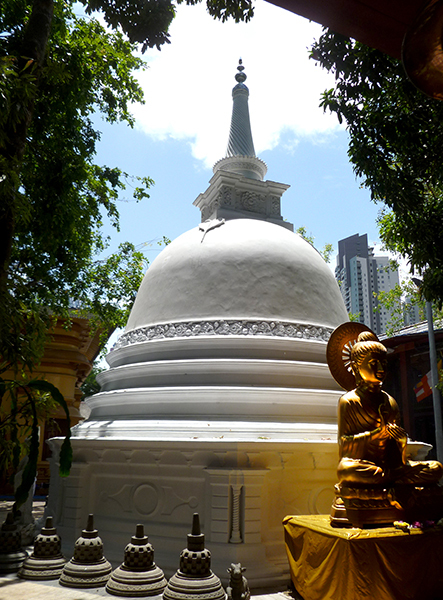 One of the stupas in the Ganga Rama temple in Colombo, seen during the Congress.